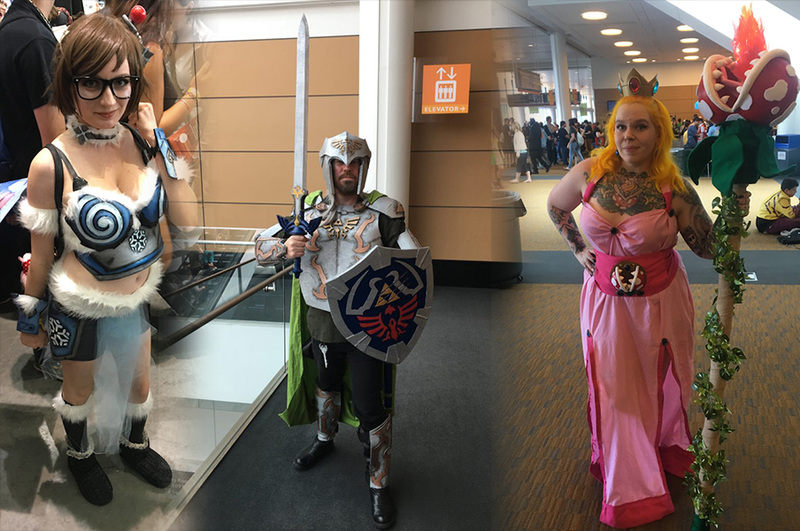 The best video game-related cosplay we saw at Boston Comic Con 2017 – AiPT! There was a lot of awesome gaming cosplay at Boston Comic Con 2017. Here are some of our favorites. AiPT! attended Boston Comic Con over the weekend and one of our biggest takeaways was the incredible amount of talented cosplayers in attendance. We took tons of pictures and met so many friendly cosplayers that were nice enough to let us feature their hard work. We’ve had to create three separate posts to ensure we could feature all the pictures we took. In this gallery our focus is to feature all the gaming cosplayers we met. Enjoy! The first cosplay I saw. The dragon becomes me! Silent Hill vs Jason. Hard to decide who comes out on top here. Do I even need to say anything? OK, he even had his music playing! The cutest little Mei I ever did see. Has anyone seen Geralt and Yennifer? Great smile and a great cosplay. I should have left a tip. Move along, no deadly virus to see here.